To start off the series on health, I wanted to discuss my own injury. 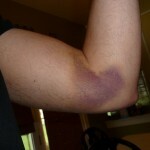 Three seasons ago, in December 2009, I suffered a bicep injury. I was bowling two nights a week at that time and had started to feel strain in my bicep. At the time, I was averaging 230 and feeling pretty good about my game. I Just chalked up the pain initially as just too much bowling. Eventually, one night I reached a point where I was in so much pain I had to stop. I had a searing pain through the belly of the bicep. I just felt like my arm was on fire. I tried bowling for several weeks just dumping that ball while being in severe pain. One of my leagues was a scratch money league so I felt compelled to try for the team. Unfortunately, not bowling would have been better for the team as well my own physical well being. I averaged something like 165 for 4 weeks and then finally took about 4 weeks off to let my arm heal. When I had it checked out, there was nothing glaring to the physician so we chalked it up to some bicep tearing which simply needed rest. I decided to get some advice from a local coach and we discussed getting more leverage from the lower body. I guess I had gotten into a habit of using too much upper body power rather than using my legs. I was muscling the ball. It actually was the trigger for my leverage articles. After the break, I came back fine and was bowling even better than I had earlier in the season. I thought everything was fine…or so I thought. From that injury, I started looking at changes to my physical game. My speed dropped as it probably caught up to the lower body’s “intention”. I felt I was really reaching a higher state of bowling. I continued into the next fall season with the two leagues and then sometime in the second half of the 2010-11 season, I started to feel “tweaks” in my arm. I was unknowingly starting to revert to the old muscle memory. While I was changing my game, I was healing. But as I healed, it made it easier to do what I used to do. I had alleviated a bit of the over-torquing of my upper body, I was muscling the ball again. So the pain creeped back in. Off I went. 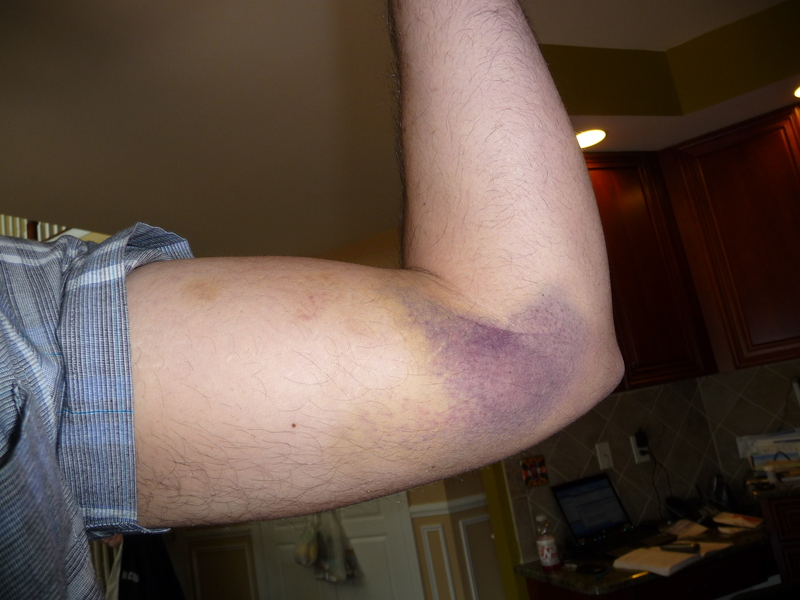 On physical exam, the surgeon almost instantly assumed I had torn the Long Head Bicep Tendon. To briefly describe the anatomy, the bicep is held to the shoulder by two tendons, the long head, and short head. At the elbow, the bicep is attached by one tendon called the Distal Biceps Tendon. Rupturing a tendon isn’t the absolute end of the world but it’s not fun. The bicep can generally still maintain a substantial amount of it’s function and strength with only one tendon at the shoulder, but it will be a bit deformed on contraction. They sometimes call it the “Popeye” effect. The surgeon told me the story of John Elway and his bicep tendon rupture in his throwing arm in the 1997 preseason, but going on to the Super Bowl that season. It’s an interesting story; you can look it up on the web. Anyway, the moral there was that if the long head tendon was completely ruptured, it may have been the best result as it would not require a surgical repair since the bicep can maintain most of its strength. Partial ruptures are the problem because you are in constant pain as it never heals on its own. It would then require surgery to snip it or reattach it. On the flipside, if the Distal tendon at the elbow if ruptured, it definitely requires surgery if you want use of the bicep again since it’s the only tendon at that end. OK, so I went to get an MRI and lo and behold, I’m told my tendons are perfectly fine. The surgeon was so excited. I wasn’t. 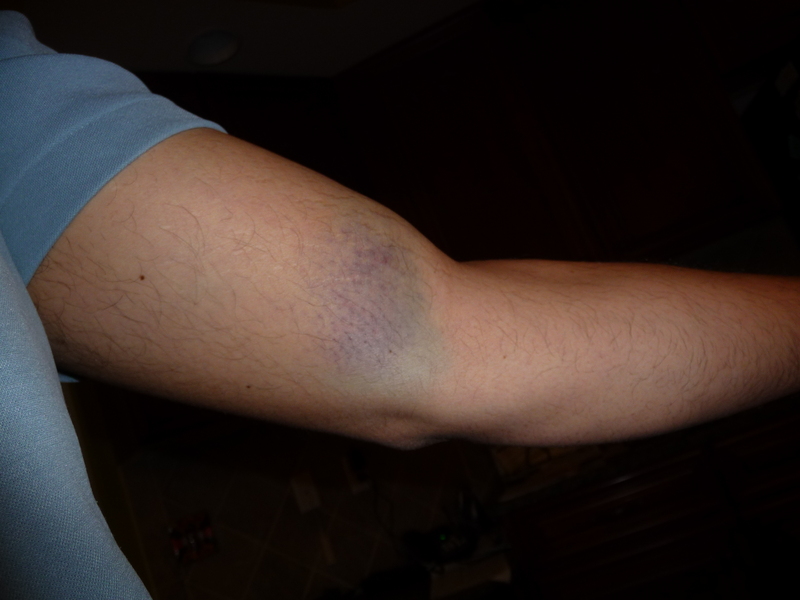 I’m thinking to myself, “so what’s the deal with this huge bulge on my arm and the fact that I can’t bowl or really do anything with my arm.” I was told that is is basically a hematoma or a pool of blood and fluid from the inflammatory response. My bicep had some significant muscular tearing. What was the result? No bowling for 5 months and rehab for about 3 months. Great, so it finally caught up with me. Alright, I thought let me take it easy this season and join one league while I get healthy again. I was not bowling anywhere near the peak, but that was completely expected. It was extremely frustrating, but expected. I thought I was finally in the clear and can live happily ever after. Unfortunately, that wasn’t so. In December 2011, it started again. At this stage, I thought my bowling career may be over. Despite all the things I’ve tried to correct, the rehab, changing of my game, I continued to suffer from this injury. I even contemplated changing to a righty and restart my bowling career from that side. I spent some time in the last couple of months as a last ditch effort to understand what about my game is causing the problem and how I can finally make a permanent change to my game. I have been working on that aspect for the last 3 weeks and things may seem to be looking up. I am cautiously optimistic. This background information should help set the stage for the next few articles in the health column. I want to let you in on some specifics and how I am progressing through this injury. 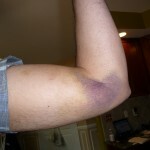 I know that a bicep injury of this kind is not particularly common in bowling, but the issues that cause it are very common. Therefore, I believe the articles to follow can be of help as you develop your physical game, regardless of your level. Sincerely sorry to hear all this, but you’ve gotten off lucky so far. Ease off for as long as it takes, and don’t come back thinking you’re still a young stud. Adjust to growing older with a degree of grace, why don’t ya!? I started bowling in my 6th decade. Seeing the rockets thrown by the younger guys, I knew there was no chance of my ever matching their devastating power, exploding the pins and such. But it didn’t matter because of a thing called finesse. That’s the weapon you should be working on now. I’ve busted up many times over the years. Broken bones, jammed knuckles, snapped finger tendon, nerve damaged thumb, atrophied arm muscles, arthritic this-and-the-other. Aging isn’t for woosies, and in the long run the art of bowling isn’t about power shots, either. Now, as to those two-handed bowlers and those who are super power crankers/tweeners/strokers . . . I wonder how many of their bodies are going to last into a sixth decade? Many a Chiropractor and MD are blessed with future clients and patients. So, I think your Health Columns are going to be a really good thing! Hopefully, your readers will pay attention to your new insights. You are right RM. I throw a good ball 325-400RPMs depending on condition. I have finesse guys w/ 250 RPM’s betting me regularly. When their ball doesn’t strike they can adjust properly because they are able to know if it was a bad shot or was the line up incorrect. They are back on track after 1 miss. Me? I miss 1 shot, make an adjustment, then miss the 2nd shot. Was the adjustment bad or did I miss my target? I don’t know. I’ll have to throw another one. Yeah…I guess I am lucky 🙂 If I can continue bowling lefty, that will be great. So far so good. I am not as young as the new crop of bowlers on tour, but there are guys out there doing what I do physically, who are older… Nevertheless, it’s an issue worth discussing, I believe, and glad to have your feedback. Frequently we get stuck in the phase of guessing what we need to change to correct it. Sometimes wasting a lot of time on it. Often seeing a good coach can help out. Hi David, Thanks. I’ll definitely be posting some more on the mechanics of this issue and hopefully it will be helpful to others in developing their game, even if they didn’t have this injury. You are right RM. I throw a good ball 325-400RPMs depending on condition. I have finesse guys w/ 250 RPM\’s betting me regularly. When their ball doesn\’t strike they can adjust properly because they are able to know if it was a bad shot or was the line up incorrect. They are back on track after 1 miss. Me? I miss 1 shot, make an adjustment, then miss the 2nd shot. Was the adjustment bad or did I miss my target? I don\’t know. I\’ll have to throw another one. Honestly sounds ALMOST identical to my issues. 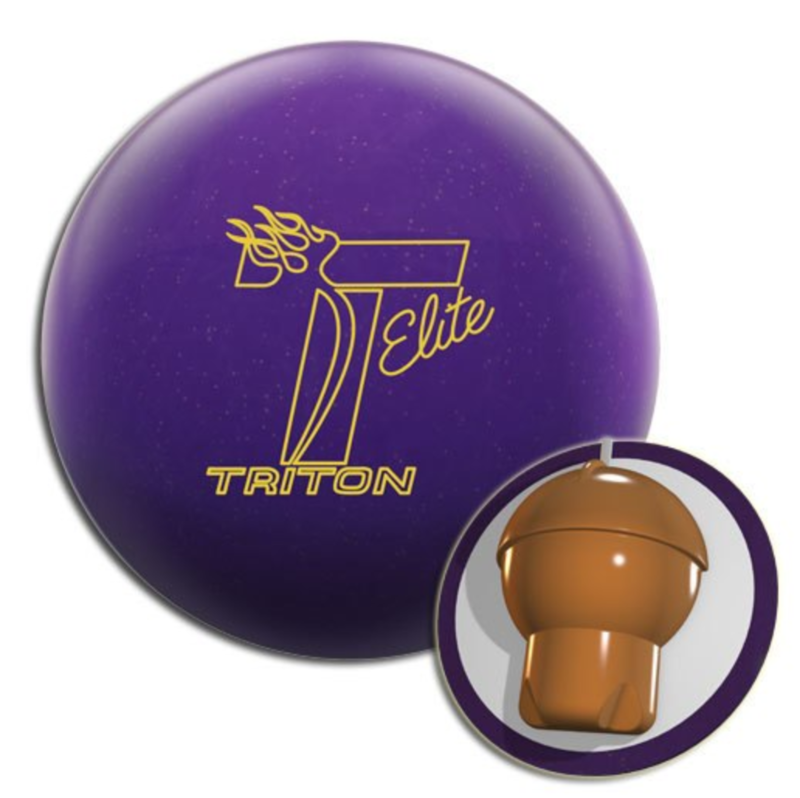 I have bowled at every level of the sport and was getting ready for my first attempt at USBC nationals in 2011. I practiced a lot and even did some of their side tournaments when I was out there. During my last set my arm started to feel really fatigued (abnormal) and definitely just felt ‘weird’. I could barley feel my arm the last game and almost shot 300 anyways – there’s that free armswing theory working for you. Since then (May 2011) I have never ACTUALLY bowled again. Which is pretty weird from going to 40+ games a week, and I am now only 26 years old. Long story short I have seen, 3 orthopedic surgeons, 1 sports massage/chiropractor guy, 1 occupational therapist and my first physical therapist appointment is this Friday – after reading this not so sure I am going in the right direction. I have had a plethora of treatments, X-rays and an MRI. Again my doctor told me the same thing that ‘nothing was torn and it seems fine’. Take 5 months off, and when you come back start with a lighter ball. So I did that and started with a light ball, about 7 shots in that all too familiar pain came back and that was the end of that. Since then it has been a lot of trials and errors – nothing has helped. Massage, exercise, stretching, lighter ball, tons of braces. I have never had the bruising that you showed in your photos, however I have had swelling. The day after I injured my arm in Reno I was basically unable to straighten my arm. It felt like a rubber band that was stretched to its fullest extent (with arm being bent) and bending beyond that point (straightening out arm) was an impossible feat. Still at a rather loss of what to do ,was going to try PT for awhile. I am also left handed and definitely “whacked on it” pretty hard. With that style comes some muscle. However, after spending most of my years being a student of the game, lucky enough to have the worked with the best coaches in the world and “live for bowling” – I still am perplexed by my injury. Put me in a league and I have probably one of the least muscled swings in the building – why isn’t everyone experiencing these injuries. Most players even on tour that really “get on it” have muscle in their swing, its just when and how they apply it, usually towards the end of their swing to ‘load up’ on the ball and let it fly. Even someone like Chris Barnes has muscle in his swing, analyze the swing from his second to last step to the point it comes off his hand. Elbow bends a bit, loads up on it – etc. Last time I checked that will take muscle. Anyways not a “flaw” in technique in my opinion – but apparently becomes one when your body decides to not accommodate it. Keep me posted on any progress you may have with your arm, and I will try and do the same. 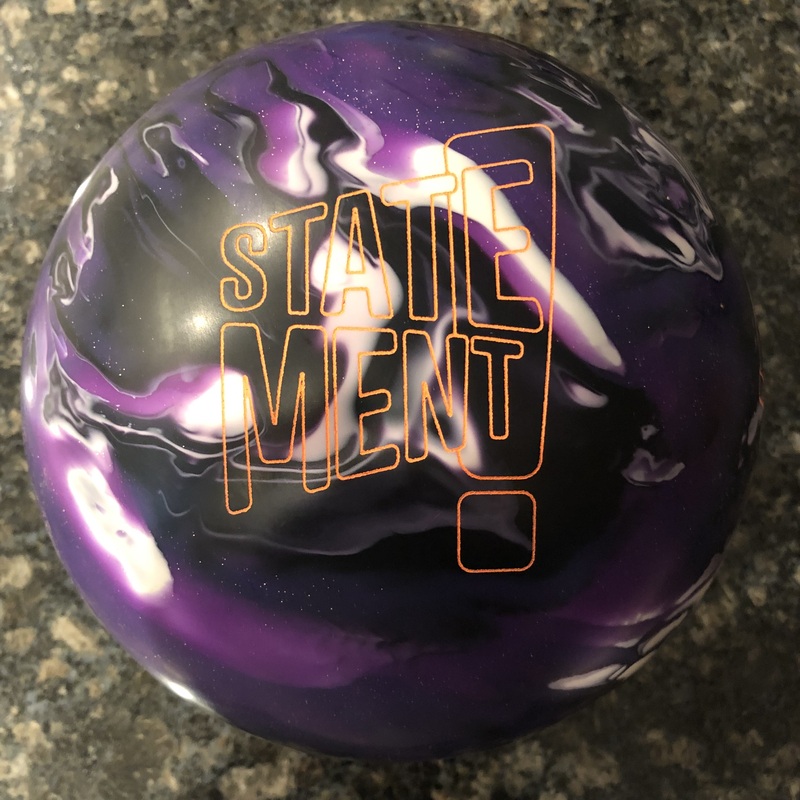 Kind of nice to finally feel like “not the only one” – just wish a DOCTOR, would be able to say something about extreme discomfort / pain in my arm when bowling other than “I have no idea”. Is that really the best answer I can receive about this? Hi Jon, Sorry to hear you’re story. I wrote this as I also found myself being the only bowler facing this injury. I’m not an older guy either and I see plenty of bowlers who muscle the ball more than I do. I have no doubt I muscle the ball, but to the extent of getting such an injury just didn’t seem plausible. It’s like you said, our bodies simply decided to no longer accomodate. I am bowling these days, but much less and not at a very competitive level. I know there’s something in the recesses of my brain, but without practice, you can’t really compete. I actually lost another 6 or so weeks with a torn hamstring this summer. My experience with the surgeons, physicians, and PTs is that they don’t tend to understand bowling very much. However, I obviously need to give them credit in terms of understanding the body and what it should and shouldn’t do. I just had to do a lot of explaining in terms of the bowling motions. I believe that the MRIs could be read incorrectly and that at times strains do not clearly appear, particularly when there are old injuries that have scarred over. Many times that creates significant weak spots that will always be vulnerable. For me, I believe my long head tendon has some weakness that is always felt after 4 or so games. I believe it will likely be permanent. However, I can bowl. The freer my armswing is, the more games I can bowl. I’ve found that I’ve been able to bowl up to 20 games in 3 days, but I definitely feel soreness afterwards. What I can tell you is I’ve spent the last 3 years with whatever bowling I can muster to find a way I can bowl pain-free. So I’ve been changing my physical game very often to find something. I feel like I’m much closer now and I’ve done much of it myself. However, I have also been considering taking a day or two and getting out to a gold coach to work with. Don’t despair. I don’t think there is any reason to have to stop bowling permanently. Nor do I think that 5 months is a reasonable amount of time to be away from the game without a real game plan. It can certainly take 4 or 5 months for certain injuries to heal, but without any actual therapy, you are more likely to have the injury heal improperly. That will then cause you to have pain very quickly when you try to play again. I don’t know if you read BTM, but Paul Butcher is a physical therapist who is also a competitive bowler. You could contact him and ask him questions as well. Let me know how it goes. Today was my first PT appointment. Like everyone, they are a little puzzled, but definitely leaning towards muscles in that area just not being as strong as the other side. IE: Weaker triceps, strong biceps. Since that video I had worked with a gold level coach, got my swing a little less steep and more free, then injury May 2011. Anywho – he is going to research the issue and talk with some colleagues of his and I have another appointment next Friday. Worth a shot! Hey, I remember seeing that video a while back. There aren’t too many lefties playing inside. 🙂 Honestly, I am a bit puzzled how you got a similar injury as I did with how smooth you look. One of the key things Paul Butcher honed in on was core weakness. Whenever extremities like arms, hands, legs, feet are stressed, it’s usually due to core weakness. For the arms, that would be scapular weakness or not enough strength in the shoulders, etc. Sometimes, we have to get out to the gym and strengthen those areas. Some people can get away with ripping their body apart and doing nothing while others have to work at it to get the strength necessary. I see smaller and “weaker” guys than me doing much more to the ball and they have yet to encounter a problem. Nevertheless, please don’t be discouraged. Just keep at it until you find the answer, even if it’s very slow progress. Keep at it and don’t go back too early. Push yourself, but not so hard that you revert any progress you may have made. Take it from someone who faced the injury for 3 years. I’m hoping this will be the year I can get through a whole season without falling apart. Let’s see what your PT says. Keep us posted. Out of curiosity, are you abnormally flexible? Example, when you extend your arms straight out does your elbow bend past 180 degrees, almost hyper extend a little? Injured my arm this week. My bruise looks EXACTLY like yours. Even shaped like a heart. What can I expect? Depends on what it is exactly. You might want to get it checked out to make sure you haven’t torn any tendons. If it’s a bicep tear like I had, then you’d be in for some lengthy rest and rehab. My mistake was not knowing exactly how much rest is needed. I had to completely change my game to continue bowling. Go to the doctor and make sure you know exactly what it is. Best of luck. Hi. I don’t know if you’re still following what’s going on on this thread, and so far I’ve only read your first post, but it sounds spot-on for what’s ailing me. Bowling twice a week, once in a league, once with a coach for 2 hours of almost constant ball throws. About 4 weeks ago my arm started to hurt where the bicep meets the elbow. Trouble holding things in my hand (if they’re slightly heavy) and trouble picking my kids up (uses the bicep). Season for league has about 8 more weeks and I figure I’ll bowl through it. For me, there’s no pain when I’m bowling. Only when I’m not. Just sitting at my desk I have a dull throb in my forearm and bicep. The problem seemed to happen a few weeks after I followed advice to lower my ball and move back on the approach to try to get more speed on the ball. (I’m not a power bowler. Can’t tell the speed at which I throw, but it’s not fast. 16lb ball.) Can’t wait to read more. And so, I will. I hope you’re feeling better and bowling 230 again. Hi Richard. It’s been a little while but still following. 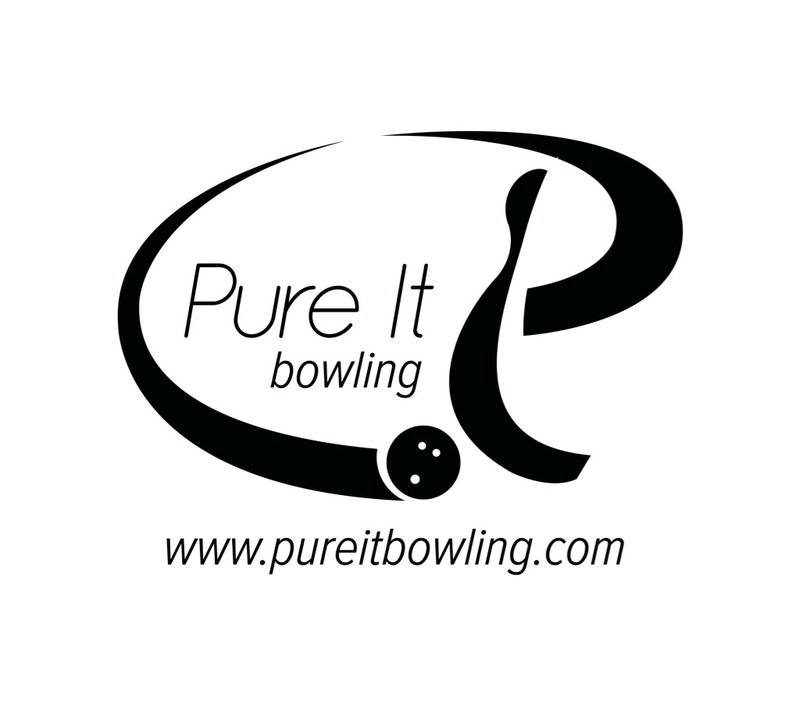 Be careful not to push yourself and bowl through a real injury. It could lead to a worse situation later on. I’m doing OK. I seem to have soreness after some bowling. It is in the same place all the time where there is probably some scar tissue. Nevertheless, I’ve now been able to go through 2 seasons without having to stop due to the injury and just under 230 for this season. It’s been a very long road but worth making significant changes to add longevity. 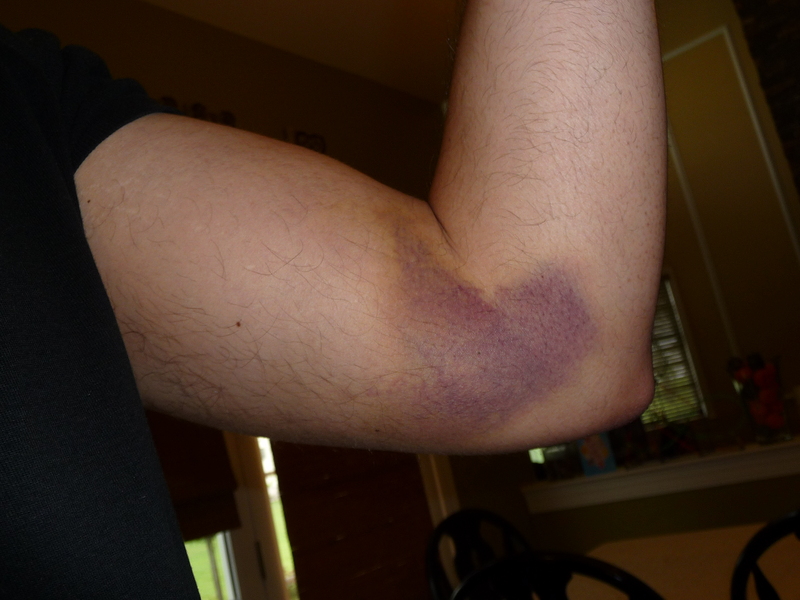 I injured my left bicep about a week and a half ago practice bowling. 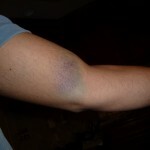 Same type of bruise but not as severe. Saw my doc a couple of days ago.. He was not overly concerned, said I had a bicep tenden tear, rest and ice it several times a day for a month and don’t bowl in that time. The only time it really bothers me is If I bowl. 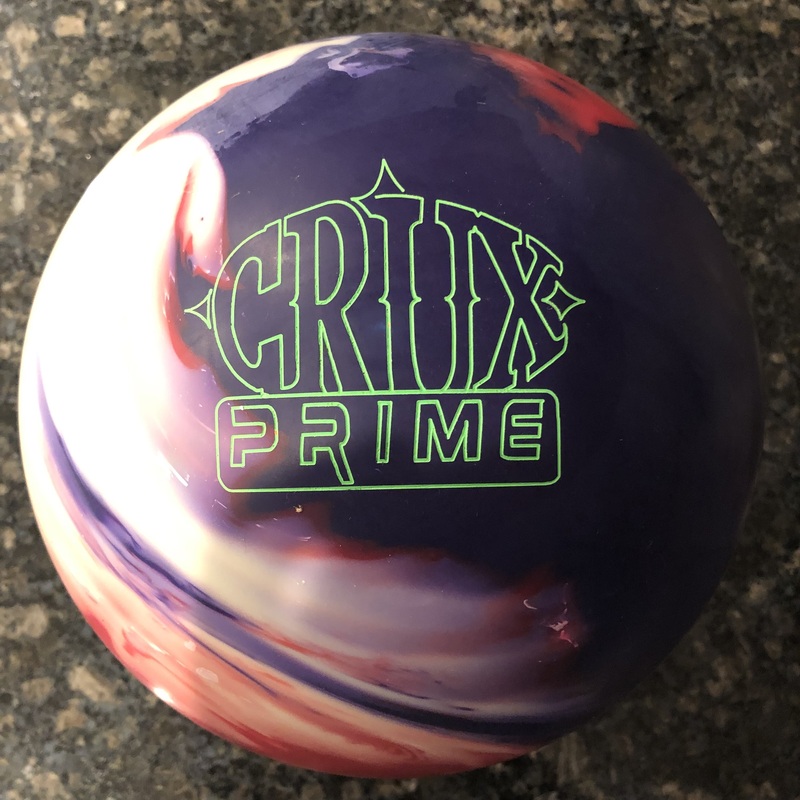 We are in the summer leagues now and I was bowling in a non sanctioned league, so I am going to try to convert to a righty and hope I can go back lefty when the winter leagues start in 8 weeks. I guess I’ll see what happens. I used to bowl righty as a teen, I’m 76 at present. Just ruptured my right long head bicep bowling 4 weeks ago, the intense pain didn’t hit until a week after the night I hurt it. Dr, says that is when the muscle finally separated. I do have Popeye muscle now. MRI confirmed it. I did go to the lanes last week to try to through a ball and inform my team of my possibility of coming back. The pain of throwing one ball was terrible. I guess I am done. I sure did enjoy the game. Thanks for your article, just wondering if you are bowling today? Sorry to hear of your injury. Depending on which tendon is torn, you may need surgery. The saving grace is that typically after surgery, you can get back to “normal” over time. Just be careful not to try anything your doctor didn’t authorize as you don’t want to make anything worse. As for me, yes I am bowling. Dropped down to 14 pounds finally this summer after 4 years of recurring bicep tear. I don’t really feel much pain anymore but I take care of it with anti-inflammatory meds before and ice it after to prevent any inflammation or pain. Good luck and let me know what happens next. Yep, the long head bicep tendon does not have to be repaired when completely severed. In fact, for many, it’s most problematic when the tendon is partially torn but not completely severed due to the constant pain. 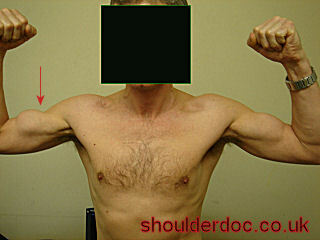 Once it’s severed, many can function at 90% since the bicep has a second tendon at the shoulder. So if that’s your case as well, which sounds like it is if you have the popeye bicep, you may be able to rest and get back to bowling pain free.